The five fold gifts Jesus gives to the church aren’t a jam of the month club that shows up at your door and overcrowds the refrigerator shelf. These are capacities that are meant to be activated in the Body. They are personalities that are exercised in the people. They are grace at work in the most surprising of ways. When the Apostle Paul prays for the Church in Ephesians 3, he is describing the goal, praying it into the fabric of the people who gather and scatter to celebrate and spread the Kingdom of God. Saying, “I ask that you’ll know the love of Christ that is beyond knowledge so that you will be filled entirely with the fullness of God,” Paul is explicitly taking the Christianity out of the classroom, out of the auditorium, off the hills where philosophers gather and placing where it belongs: into the hands of Jesus, the sower of the seeds of our faith, from where we will be thrown and sown. This verse provides an enormous challenge for the church, especially our church today. In essence, in it, we are pushed out of our comfort zone – learning – and into the gospel frontier where we experience unexpected adventures and unlimited difficulties. And strangely, that’s where we live and move and have our being, in the love of Christ, filled entirely with the fullness of God. 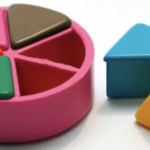 For the sake of illustration, let’s look at the Ephesians passage as the game piece from trivial pursuit. As we begin to see how each APEST gift (the colored pieces) is reflected in this prayer, we begin to see how the five fold gifts contribute to building the love of Christ in the Body and partner in bringing God’s fullness to His people. If there is a verb that illustrates the way that the Apostle brings this prayer into fullness in the church, it’s this one: Experience. The Apostle pushes boundaries, carries the cross to hilltops where it has never been seen. They innovate old systems and dream up completely new ones. They skate on the edges and move freely in the margins. They both experience Jesus in his native environment, and help those around them experience a Savior who is moving and doing. What the prophet adds to the party is no surprise: Revelation. The prophet helps the body of Christ experience revelation, something that is revealed by Jesus through his Spirit. Something that I’m discovering is how hungry people, Christian and non-Christian, are for revelation; to know that God is still speaking and participating with people in every phase of faith, in every language, in every neighborhood. It’s powerful. The Church needs its healthy prophets to share prayer from the heart of the Father, Words of Knowledge from the Spirit, for encouragement and affirmation of God’s love for his people. My grandfather used to say, “Let me hear from you from time to time.” I believe it’s alright to say that to the Holy Spirit. When the prophet adds revelation to the prayer, the people of God are able to experience tangible connections to the work of the Holy Spirit. Prophets are able to peak behind the veil a little bit and share what the Lord is revealing to them: un-earned, un-learned revelation. They remind us that we can’t know everything, we can’t learn Jesus. Our minds cannot engineer fully what experience will absorb and revelation will provide. The evangelist longs for encounter, encounters with Jesus like they were on the road to Emmaus and to share that encounter with those who have never taken that walk. They are people people who are filled with the desire for face to face conversation, deep dives into the soul, firmly anchored in the good news that anyone can encounter Christ. In our digital world, the evangelists provide good old fashioned analog connection. They are a real world life lines for our virtual life distractions and devastations. Think about Paul’s prayer for the church now: Experience of Jesus, Revelation of Jesus, Encounter of Jesus. We can start to see the fullness of God at work, a love of Christ that is beyond just knowing. So here’s a question: How can the Body of Christ know the love of Christ without experiencing it? Without Jesus himself revealing a love that is beyond our comprehension, a love that will not let us go? 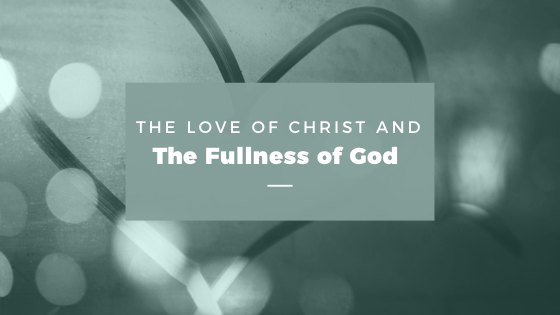 How can the Church be filled with a fullness unless we encounter it? Unless Jesus leans in and confronts us with the empty space in our souls that is meant to be filled with it? Shepherds are keepers of sheep, nurturers of community, guards at the gate, compassionate and wise. Shepherds activate the love of Christ in the congregation. What they add to the prayer is Ministry. To experience the love of Christ and the fullness of God, we have to know the comfort of Jesus’ presence, compassion and healing. The shepherd moves the church toward maturity through presence and perseverance. When Jesus was finished being tempted in the desert, the angels ministered to him. They came to him in his greatest need. I imagine one of them gave him water and he drank. I imagine one, gave him soft food for energy, while another prayed over him. There was probably another who stepped in with a bar of soap and a toothbrush, while still another reminded him that he was loved, not forgotten, that he still mattered. Shepherds add depth to Paul’s prayer (Eph 3:19) for the Church. They enable the body of Christ to see his love, to feel it, to be fed – to taste and see that the Lord is good. Adding this piece, we get closer to the fullness of God in the church through the love of Christ. Teachers contribute a particularly challenging and liberating addition: Understanding. In the teacher gift, we find discover a place where the five fold gifts collide and then reach across to all others. In order to understand the love of Christ and the fulness of God, the teacher needs to experience it. A rich relationship with the apostle is necessary. They need to sit shotgun on the Apostolic highway in order to pass the apostolic tradition on to the next generation. They need revelation as much as education in order to teach a full truth about God’s presence, power and His people. Education without revelation is information without transformation. At the very least, every teacher needs to partner with a prophet to inform the people God horizontally and vertically. Take a look at Acts 13:1, the church at Antioch describes the same relationship. Teachers share stories of encounter. They shape and inspire. They help people know that Christianity isn’t relegated to books and scrolls, but it is a living, breathing story that they can be and are a part of. Finally, understanding is strengthened through the experience of ministry through the Shepherd. When you are talking about Jesus, example is always better than theory. Through the work of His gracious gifts, His purpose is possible for His people! How have you experienced the five fold gifts illustrate, build or grow the love of Christ and the fullness of God in your church/fellowship?